BOTAŞ, a state-owned energy company, has ranked first on the Fortune 500 Turkey list, which determines Turkey's top 500 largest firms, with a net sales income of TL 37.1 billion ($12.9 billion). Covering all business sectors except for financial institutions and holdings, the latest Fortune 500 Turkey survey was published in Fortune Turkey's July issue. BOTAŞ came first on the list, followed by Turkish Petroleum Refineries Company (Tüpraş). After being the highest ranking company for the past eight years, Tüpraş's net sales income hit TL 36.8 billion this year because of the impact of the worldwide decline in oil prices. While OMV Petrol Ofisi preserved its third place in the list with a net sales income of TL 30.9 billion, Turkish Airlines (THY) took fourth place with a net sales income of TL 28.7 billion, followed by the Turkish Electricity Transmission Company (TEİAŞ) with TL 20 billion. 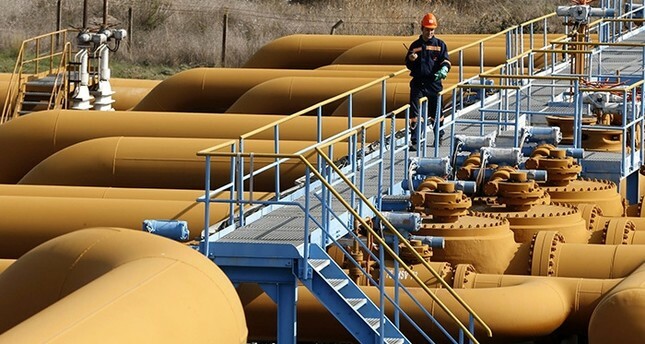 The Turkish Electricity Trading and Contracting Corporation (TETAŞ) ranked sixth with TL 19.5 billion while fuel company OPET ranked seventh with TL 18.5 billion. Grocery store chain BİM took eighth place with TL 17.4 billion, followed by Ford in ninth place with TL 16.7 billion and Shell & Turcas at tenth with TL 15.4 billion in net sales income. The total assets of the Fortune 500 companies reached TL 837.3 billion, due to a 16.8 percent increase, and their capital hit TL 340 billion, increasing 9.6 percent. Net sales of 160 companies in the list exceeded the TL 1 billion limit compared to 147 companies the previous year. While the number of companies with a net sales income over TL 10 billion was 16 last year, it was 17 this year. Including 86 new companies for 2016, the Fortune 500 list consists of 270 production, 127 trade, 78 service and 25 construction firms. On the other hand, the number of companies announcing losses went up, increasing from 95 to 108.